Cold weather makes us crave hot (as in highly seasoned/spicy) food, and vittles don’t get much more soulfully warming than the cuisine of India. So we’ve tucked ourselves into a couple of lunches recently at Origin India to see what Kuldeep Singh was whipping up. While Namaste hews closely to traditional fare, Singh is a more restless spirit, prone to experiments that sometimes work, and sometimes don’t. But man cannot live by Namaste alone, and when we heard Omh Singh had left there, to move back to Tamba on The Strip, we hightailed it to Origin to deal with our disappointment. And Singh salved our spirits and singed our sinuses splendidly. Perhaps he took our prior criticism to heart, or perhaps we were just catching him on off days, but the cooking here seems remarkably improved. His amuse of roasted spicy pumpkin soup, started the meal on the right track, and from there on, his spice pedal was to the metal, dazzling us with tandoori black tiger shrimp Infused in ajwain seed and kaffir lime with tamarind and raisin chutney and balsamic reduction; tender, rare tandoori lamb chops; and a corn-fed chicken thigh tikka marinated overnight in roasted cumin and chilli yogurt, served with coriander and basil sauce. And those were just the apps. He followed those with rogan josh New Zealand lamb shank with sun dried ginger, tomato and Kashmiri chile, tiger shrimp stir fried in onion and tomato savoury garlic sauce, and Old Delhi style chicken tikka makhani with ground spices and fenugreek-flavoured tomato makhani sauce. The word “curry” is Indian shorthand for all manner of garam masala spice combos that every cook mixes in in different ways for different dishes. Singh’s home-style chicken curry — scented with kaffir lime leaves, and smooth onion tomato sauce — is rich, smooth, buttery and spicy — bringing a velvety, soothing heat that doesn’t obliterate the taste of the chicken. Likewise, his Punjabi gram flour and vegetable dumpling in silky yogurt sauce finished with whole coriander seeds, chilies, cumin and asafetida, is so good it could make a vegetarian out of us, as could his eggplant crushed with cumin and ginger. Just from those descriptions, you can tell this is a spice-fest of the first order. That doesn’t mean you’ll always need one of these to quell the heat. Far from it. Singh knows how to moderate the heat and seasonings to fit the dish. He can blow your head off with a vindaloo or a Goan gashi but it seems to us at Eating Las Vegas that he enjoys mixing up his spice repertoire like a great baseball pitcher enjoys changing speeds. As Brock Radke mentioned in last week’s Las Vegas Weekly, Origin is by far our most innovative and interesting Indian. It and Singh go far beyond the call of duty in elevating a mundane (in America anyway) cuisine so that it intrigues as well as satisfies. Nothing here tastes like it does in other run-of-the-mill Indian restaurants — which is to say almost every other Indian restaurant in town, save for Namaste. This is not your father’s Indian restaurant. It is an Indian restaurant for the 21st Century. i havent eaten at origin india in a few months, but i had a good experience everytime i hae been there. i agree it is much more contemporary in all aspects. i go with the chefs tasting menu, so i get to try a bunch of things. and yea their naan, chapati and parantha breads are great!!! Taste aside, is Indian cuisine the ugliest food on earth? I’ve never seen an appetizing looking picture of Indian food yet. Chef Kuldeep Singh has been invited to cook at the prestigious James Beard House in New York City on Feb. 20th. If you are in NYC – come check it out. The dinner is “Modern, Refined Indian” and the menu and details can be found here: http://bit.ly/originindiajbf. Ravi – Origin India’s food isn’t a fusion…it’s just presented better than any other India place in town. If you aren’t into creative plate decorations or restaurant-style presentation, they also offer each of the dishes in traditional Indian family style. Tried Origin India’s both buffet and dinner. Nothing exciting to chat about the buffet just regular extremely expensive buffet. They get away with prices as they are close to the airport. Dinner is the worst. Lamb shank and eggplant both were tastelessly bland and lacking spices. To make things worser as if they were not already, our server Ronald was less informed, covering it up with loud laugh everytime. On top of that he had the courage to ask my 16 year old- yes an adult person asking an underage minor for her facebook account email right in front of me. How shameless is that?! That’s disgusting! You should have told the manager or owner. Origin India restaurant is one of my favorite place to dine out. It has great ambiance, great food and service. I love their Tiger shrimp stir fried in onion, tomato and garlic sauce. Their naan is always fresh and warm. That itself and masala sauce is good enough for lunch or meal. That’s just me. Congratulations to Chef Kuldeep Singh to have the honor to cook at the prestigious James Beard House in New York City. When I want Indian food, there is no other place in Vegas I want to go! I am not a big fan of really “hot” food, but I love, love, love spicy cuisine. And I am thrilled to have found an indian restaurant that knows all spicy food doesn’t have to scorch the tongue. Their use of coriander, cumin, garlic, ginger…Yumm! I’m getting hungry just thinking about it. I know exactly why the chef is cooking at the James Beard House – because he’s a fantastic chef! Not to mention, the restaurant is conveniently located and absolutely beautiful. I am and will remain a faithful patron of Origin India. John- is that the best pictures you could come up with? Look not so appetizing. esp. those two curries in the plate side by side. I am planning to hit this place for buffet sometime. Do they have bhelPur on the buffet? LVfoodie sounds like a paid commercial. We went for dinner at Origin a year ago last time when we came to Vegas. The tiger shrimp we really loved so we asked who the chef was and they told us it was Bhuwan bhatt. His decorative style was flavorful as well. Unfortunately this time last week when we made our visit agian, first the food took full 1 hr to come out, they also reduced the quantity for being the most expensive Indian restaurant ……the food quality has deteriorated immensely. The food wasn’t just cold but seemed like prepared long back and microwaved. lambCurry was watery. Alloo ghobi was saltless. Naan burnt. Nothing was tasting good. We asked the waiter what was wrong and he bragged that this is the best Indian restaurant. Ummmm we really didn’t think so. As soon as we were done with our meal our waiter who had a hawks eye on our table put the check. It took him 2 seconds to bring the check to our table. Pretty fast as compared to the whole 1 hour for food to come. As soon as my husband put his credit card inside, there the waiter was right away again. We felt like he badly needed the tip. Our overall experience was truly worst one this time. Dash- I am sorry to hear that! You owe an apology from them. Where the food is concerned, they have made it popular thru media and ads. There’s nothing remarkable with the taste. They need to be cooking well instead of just paid ads. All the negative comments out there are funny…these people clearly work for the opposition in town who all serve inferior food and they are jealous of all the press. Oily, heavy, greasy and sloppy Indian buffets with fake “tandoori” chicken and all the same dishes. Most people don’t know the difference, Indian food is really not understood. But people who really like food as a way of life and not just something that helps them stay full, they like Origin India. It’s saddening that Mike obviously an employee or owner of Origin India is bad mouthing the poor reviewers instead of working at the negative aspects of what’s going on. They should be putting an effort in better cooking than fighting with the guests. I love the atmosphere. Indian food has always been my favorite, but the other restaurants in town, while good, don’t have a nice enough atmosphere for a date night. Not to mention the food is always delicious with fresh, high quality ingredients! The prices are a bit higher, but you get what you pay for. I’m shocked that someone could mistake Ronald’s friendliness as inappropriateness. The restuarant has an active Facebook page, so my guess is he was asking for that purpose. Perhaps he should have clarified that. I’ve always found him, and the entire staff to be pleasant, attentive, but not overbearing. Nope I disagree. Melissa good for you it wasnt your daughter. Do not judge people so harshly. Who judged whom harshly? Did I miss something? This is a place to talk about food – all the negativity is coming from people who are jealous. I guess that is why they like message boards – people like Ravi and Haran are cowards in real life and use the facelessness of the Internet to act out. 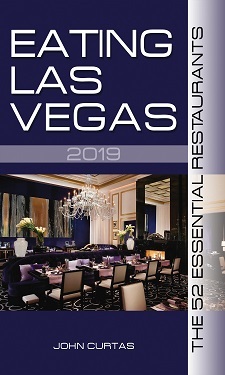 This is a good site to encourage conversation and advance the education about the food in Las Vegas. Let’s keep it that way. Hi Melissa turned Mike- Surely an owner or paid employee of origin India. Just few words of enlightment…Internet do have a face and a ‘very strong one’. That is exactly the reason you are using it as well. Right? Well just keep the conversation to food and start cooking better instead of judging and bad mouthing your guests. Also have a meeting with your waiters and explain them its not ok to hit on the guests underage daughters. All three times the food has been quite good but the service was extremely disappointing. Not sure if the waiter was unable to handle his tables or if a table of 2 wasn’t as important as a larger party; whatever the problem it was almost comically repeated each time. It seemed to take forever to get refills or anything else compared to the larger table which on one night got three rounds of beers before we were able to get our drinks. The main course came out before the appetizer and they even tried to clean and reset our table while we were sitting there waiting 20 minutes for the waiter to bring the bill. And last but not least the waiter had the nerve to ask for my 17 year old daughter’s myspace page right in front of me!!! Not something that is quite appropriate to do in front of a Father especially when the girl is under 18. I too have to disagree with the review. Just over-priced , small portion, cater to American palate food. Having eaten there twice I do not think, unless they made food to please a critic , I have not had anything there that was even remotely good enough to write home about. But considering LV does not have any good Indian restaurant (yet to check out Namaste) , the food in Origins is OK. First thing about food is tasting good, only then creativity and presentation. well I’m a guy so I was safe when I had buffet there. The food is not great like the Indian restaurants I have tried in Vegas. The one on strip Tamba has the best Indian buffet I had. The owner Mr. Dhillon is always charming. Warren – yes it happens in Indian restaurants too. The shocking thing is the owner Raja Majid himself is working as a server there to make some tips telling people he wants to make sure service is great. Well I agree about Tamba Indian cuisine lunch buffet. Not too expensive and delicious too. They have buffet for dinner on long weekends too. Right on strip great food. After reading all these comments, it appears that Mr. Ravi is an ex-employee or just another cheap Indian who doesn’t understand the food or doesn’t tip irrespective of the service or food quality. Ravi shame on you. Ravi, how come you have all the time to reply to these comments, get a life and a day job. Its a well known fact that Indians are cheap when it comes to spending. Even cabbies don’t pickup Indians as they don’t tip. Another Indian restaurant told me that cabs won’t come when he calls. Indians want quantity and not quality. Believe me I know Indians and when we go out for dinner, I pay the bill along with the tip and they always complain about I paying too much in tip. One Indian family of eight, complained about the tip being added to their bill for the buffet. I had to tell them that even casinos buffet will add tip for the party of six/eight or more. My Indian friend paid $10 to a cabbie on a $9.50 fare, the cabbie made acomment to keep your Indian tip. I have personally seen arguments between a customer and a restaurant owner on the tipping issues and also leaving two dollar in tips on a $40 bill with an excellent service. One Indian making six figure salary here in Vegas commented that its not my job to pay him tip, the waiter should go and attend school to get a decent salary. He didn’t leave tip at all. Origin India is one of the finest Indian restaurant with a professional chef in the kitchen. No other restaurant has a trained chef as most of their cooks never cooked before coming to US. As they couldn;t find a decent job they prefer to learn cooking. Moreover, Indians don’t drink at the restaurant. They prefer drinking at home as they can buy a six pack for the price of one beer in a restaurant. On top of that most of the Indians have no etiquettes in a restaurant as they bring rowdy kids along. Sometimes they even bring their own food for kids and will ask for a plate. Indian clientele is the most annoying in a restaurant business, they should stay home and eat at home rather than going out. On top of that, Indian clientele is very demanding. Water without ice, water with little ice, onions and peppers of the side for which they don;t want to pay, keep bringing papadams, however, they love cheap Indian buffets from LA to NYC. At one buffet, one Indian was complaining about paying over $12 per person. He commented that in Houston its $4.95 per person, hey but you’re not in Houston anymore. They don;t believe in decor, atmosphere, service, ambiance or cleanliness. They just want cheap food. If I have a restaurant I won;t be looking forward to an Indian customer. Worst part of all this is that Indians call themselves as the wealthiest in the country. Some of the decent Indian customer, there are not many, suffer due to the majority of the cheap Indians. I am not associated with any Indian restaurant, the above are my observations after being with so many Indian friends. Origin India is a beautiful place for a dinner out. Perfect dim lights, nice indian songs in the air, good people, good food and drinks. I like it. Simple and elegant. I was told by someone that the owner is not from India but he was from Pakistan and for some reason he didn’t want to call it Origin of Pakistan. I have not been to this place since I had heard it was a Fusion Cuisine which is not in my vocabulary. Reading the comments, I am not sure I would venture to try it since the majority of comments are not in favor of this place. I am still looking for an Authentic Indian Restauarant in Las Vegas. There were some great Indian Restaurants in Chicago where I recently moved from-one of them was Bukhara- in Downtown Chicago which was probably the best Indian food I have eaten. The post is informative enough with quality information.Regarding your site looking neat and clean, i think you have done the right thing. Harry H. – take a look at the great press and reviews Origin India has received. Is it authentic Indian? I would say so – Chef Kuldeep Singh is from India and he cooks the food. The owner is a native of Kashmir and worked in restaurants in London for the past 30 years – serving a variety of Indian cuisine to Brits who also know their Indian food. The food wasn’t that great but after hearing on ktv that Origin was closed due to mold and health issues I wouldn’t keep it on my must go restaurant list. Unfortunately the owner has covered it all up with lies. 69 demerits. !!!! Wow that’s alot ! Origin Pakistan (the owner is from Pakistan). This only shows the appearance and ambience of a restaurant can be deceptive when there is mold brewing in the back. Even if it reopens I would be very skeptical to visit this place. It’s been opened since the morning after the health inspection, the majority of the demerits came from the buffet – not because the food wasn’t safe – but rather because they didn’t have the proper permit. The “mold” growing was actually a sauce used on one of the dishes and that was pointed out to the KTNV reporter when she came to the restaurant to check up on its standing. It currently has an A rating from the health board and is doing just fine. Come in and order an orange/peach margarita and raise money for Create a Change Now (www.createachangenow.org) – another of the many non-profit groups that the owner supports. I used to go religiously to Origin India. Sadly after hearing about health issues, I have to search after another indian cuisine in town. Las Vegas Review Journal restaurant report ORIGIN INDIA received 69 demerits & was closed . They have had problems with health inspections in the past ,never have got a Grade A since 2005 since they opened as shown on channel 13. Maybe it’s time for Gordon Ramsay to pay them a visit. Thanks Jason. I’ll consider that career choice, if I ever need an alternative.